Boss Bottled Tonic is the latest addition to the Boss Bottled range and it's one that I know my husband will love because it's fresh without being sharp. It's zesty, spicy and woody at the same time due to the notes of grapefruit, apple, lemon, ginger and vetiver. It lasts around 6 hours on the skin, which is pretty average. This is one for men who don't like musky scents or anything that is too warm or heavy. Chloé Signature Eau De Toilette is one of my personal favourites! I love the pretty ribbed bottle with the bow around the neck. It's a fresh, floral scent that is also a little fruity without being sweet. I smell roses when I spray this, whereas my husband smells lychees - either way, it's a beautiful mix! I find that it lasts around 5/6 hours on my skin but if I layer it with the matching body lotion, it extends the longevity of the scent. These are just two personal favourites but Fragrance Direct have so many more in their Christmas section. They offer free UK delivery on orders over £20 and free overseas delivery on orders over £75. With the huge variety of fragrances available, you don't even have to leave your sofa to get your Christmas shopping done! 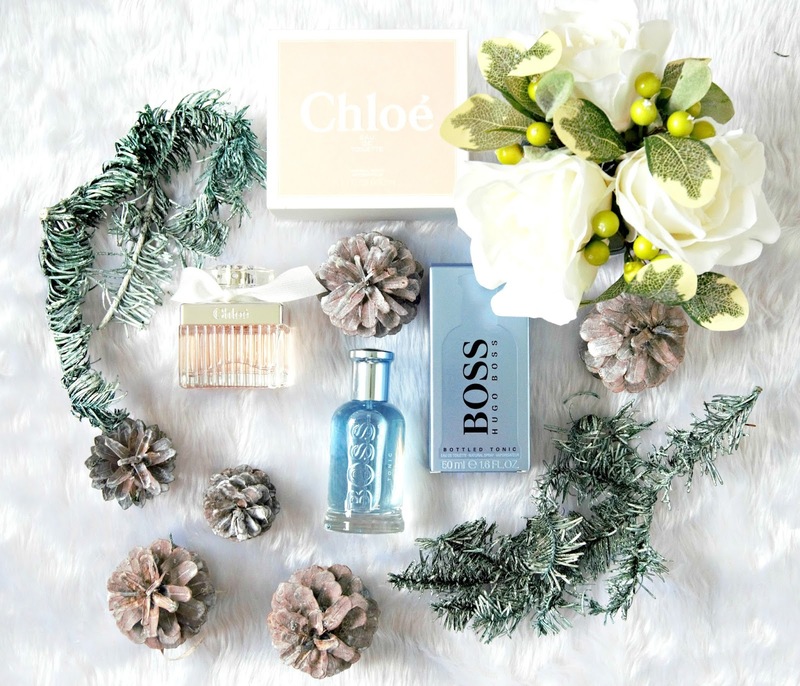 Do you give fragrances for Christmas gifts or do you like to receive them for Christmas? I'd love to hear! All products are bought by me, unless otherwise stated. Both of these products were kindly sent to me. Opinion is always my own.